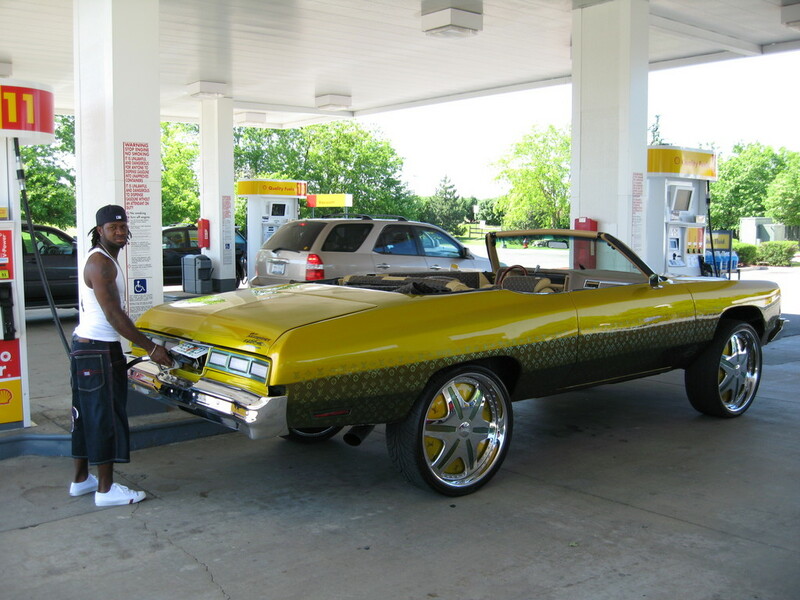 Devin Hester of the Chicago Bears is filling up gas in his crazy Donk. We got 26″ Chrome, Green, and Yellow rims. I am 100% sure he is faster than his car, but I just love the way this donk looks.